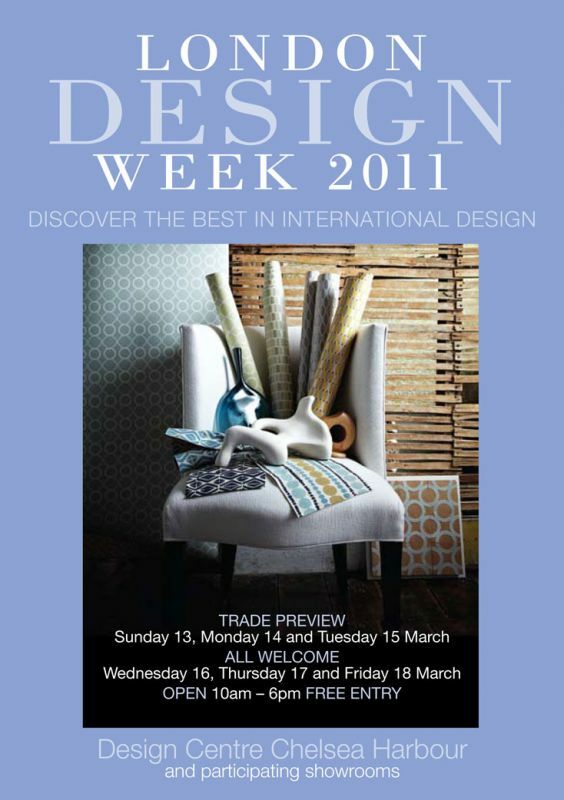 So it’s off to London next week for London Design Week 2011 at Chelsea Harbour Design Centre. This is the chance to see all the new Spring/Summer collections being launched from over 400 brands at the harbour. It’s a great opportunity to get inspiration and learn more about what trends are emerging for the year ahead. The show is open to trade only on 13th-15th March, but then opens to the public from 16th-18th, so if you need some inspiration for your home now is the time to pay a visit to Chelsea.